With spring on its way, consider reinventing your outdoor space into one that encourages you to spend more time under the sun and stars. To create a comfortable, inviting area, you will need your plan to incorporate seating, a view, a shady spot for hot days, and privacy. You can decorate your exterior room much as you would an interior one, but be sure to select materials that will stand up to the elements. Act now, and you’ll soon be enjoying balmy nights in your new outdoor living space. A patio or deck will help define the perimeter of your outdoor room. Either a patio laid with flagstones, bricks or pavers or a deck built from wood or synthetic materials will provide the needed transition from the indoors to the outdoors. Add plenty of comfortable seating, occasional tables for setting down drinks and placing fresh flowers, and perhaps a dining table. Lighting will make the space festive. 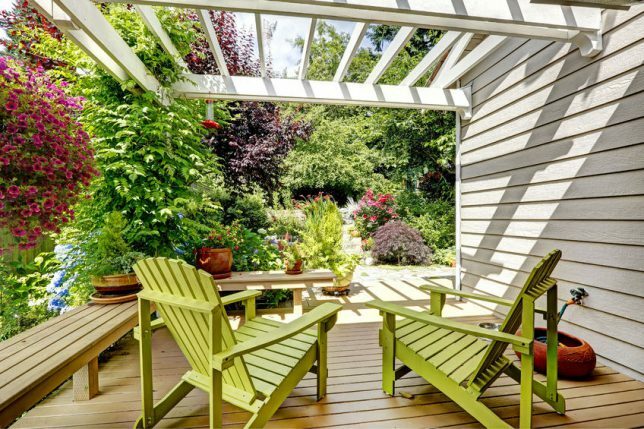 For shade and visual interest, build a pergola or arbor. The structure, which supports open latticework atop sturdy posts, will offer a cool spot to relax out of the glare of the sun. It also provides a base for growing woody vines, such as wisteria, trumpet vine, or even grapes. Even a small space can accommodate an outdoor kitchen. Go for appliances best suited for outdoor use, such as a grill or smoker. Poured concrete counters are a good choice, as are building with materials such as tile, stucco and stone that can handle precipitation. Check local ordinances for permit requirements for hooking up water, gas or electricity. An outdoor fireplace will create an instant architectural focal point while providing warmth and charm to outdoor gatherings. Even summer nights can be chilly, and a fireplace can beckon you outdoors in the cooler months as well. S’mores, anyone? If you have some time to devote to upkeep, a koi pond not only provides a beautiful addition to your landscape, but can be a rewarding hobby. If you simply want to enjoy the calming burble of water, a small fountain will do the trick instead. To turn these warm-weather daydreams into reality, hire a local professional contractor to do the job. 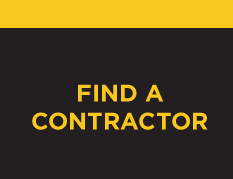 Finding a pre-qualified and experienced pro is easy with Contractor Connection — enter your ZIP code above, and you’ll promptly hear back from a licensed and insured contractor whose workmanship is guaranteed for a full three years.